The stock market can turn the money you already have into more money. You just need to know how to invest money. 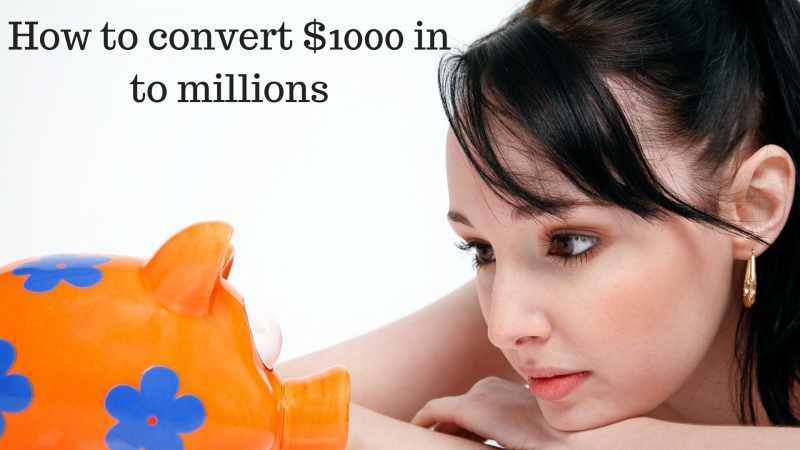 Here are 9 ways to make millions off of $1,000. Only 54% of Americans invest in the stock market. That means that 46% of Americans are missing out on the benefits of seeing an investment grow. You see, the stock market isn’t just about making money grow and getting rich. The stock market also provides folks a way to secure their future through retirement investing. Money may not grow on trees, but you can certainly make it grow by investing it wisely. It’s easy to feel intimidated about investing in the stock market. Many people are never taught about investing or money management. But, investing in the stock market even with just $1,000 can be a great place to start. Want to learn how to invest money in the stock market with just $1,000? Read on to find out the nine best ways to invest money. Talk with a financial advisor who understands your current goals, lifestyle, and needs. By following a holistic financial planning strategy, you will be better able to know where your money will be best invested. For example, if your ultimate goal is to retire by the age of 45, then high-risk stock options may be your best bet. On the other hand, if you are supporting your children and want them to have a secure future, then investing in a mild to moderate risk stock options may suit your needs better. A financial advisor can help you to assess your comfort level in terms of how much risk you can handle. Not everyone wants to get rich quick, and that’s okay! The stock market is still a wise choice for seeing your investment grow either quickly or slowly. The key is to just get started. Before you find a financial advisor who can help you to invest, know what kind of investments may be right for you. The financial world is riddled with lingo like “401ks” and “IRAs,” so knowing what these terms mean in advance may help to ease your fears. Having an idea of your risk tolerance and which options match this tolerance is also a great place to start. Consider signing up for an investment or money-making course. Thoroughly research each course and see which one seems like the best fit for you. The internet helps people to invest their money wisely by creating more options to invest. Peer-to-Peer lending is investing in an upcoming business by providing the start-up or individual with a loan. Attached to this loan is an interest rate. This interest rate is the return on your investment and where your money grows. Peer-to-peer lending sites are also risk-tolerance friendly. You can invest in a company that is low, moderate or high risk based on an algorithm. Platforms like Lending Club help to identify the risk of each investment you’re considering. Do your own research of the company or individual as well. Knowing exactly what you’re buying into can help you to cultivate support and excitement for investing. Cryptocurrency is the latest trend in investing your money. Cryptocurrency is an online currency not associated with any particular country or owner. It is owned by the people who invest in it and regulated by the cryptocurrency market. You can spend your cryptocurrencies, but since there is a limited number of cryptocurrencies available it’s also a good investment. Buy in with your $1,000 and keep track cryptocurrency market trends. Similar to investing in the stock market, the value of cryptocurrency will vary. It’s best to buy low and sell when your investment is profitable. You can also purchase more cryptocurrency as your investment grows. There are many cryptocurrency websites available which allow you to buy cryptocurrency. Research which options are best for your needs. Purchasing individual stocks is a high-risk money-making investment. High-risk sometimes equals high-profit but traditionally investing a variety of stocks known “diversification” is a sounder option. If you’re ready to take the risk and possibly make some money then purchasing individual stocks options may be right for you! Using an app like Stash allows you to access individual stocks and decide which ones to purchase. Research the company you want to invest in and make your best prediction as to whether or not their stocks will be profitable. The best strategy when purchasing individual stocks is to buy low and sell high. Trading individual stocks is a hands-on experience and the market can be volatile. Keep up with the stock market trends to see the best results. While it’s great to invest in future gains, paying off the debt from the past is also a good investment. This because of the interest we’re paying on these loans. Loans from the past which are accruing interest mean you’re paying more in the long-run. In essence, you’re losing money. By focusing on one debt at a time such as a credit card bill, you free your finances up to invest money where it has a chance of growing. Start with the debts with the highest interest rates or the lowest dollar amounts. After all, investing in the well-being of your credit score is also a good way to invest in your future. If you are employed, your employer may offer you the option to invest in a 401k. It’s likely that your employer will also match a certain percentage of the money you invest in a 401k. 401ks are tax-free unless you decide to take the money out prematurely. 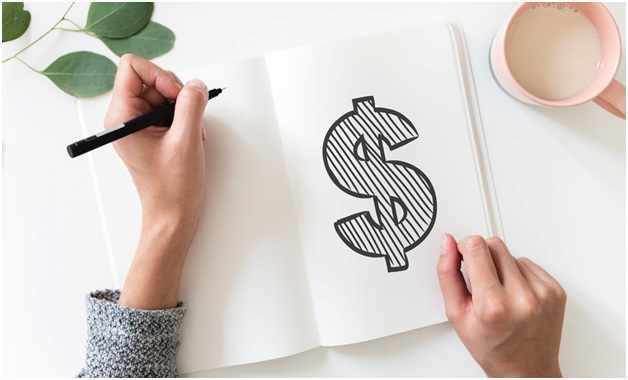 An Individual Retirement Account or “IRA” is a great investment opportunity for folks who are self-employed or not eligible for a 401k at work. When selecting an IRA shop around for the best company with the lowest fees and commission rates. A “buy and hold” strategy entails selecting a company or stock option to invest in and then continuing to invest over time. The goal is to accumulate as many stock shares as possible. Using this strategy means going with the flow of the market and sticking to your investment plan regardless of the behavior of the stock market. To use this strategy select an investment that seems like a safe bet. For example, consider if the company or stock option will be relevant 10 to even 50 years from now. When you decide on a strategy, stick to it. The stock market easily plays into our emotions and our greed. It can make anyone panic to see their investment cut in half by a dipping market, but this fear is what can lose you money. Each level of investment risk will require different investment habits. With $1,000, your best bet may be to divide your money into a variety of investments to start. When you observe how this money goes up or down slightly or drastically, then you can decide which future investments may be right for you. Feeling More Confident in How to Invest Money? Continuing building your investing and finance confidence by checking out our blog. We provide information about personal finance, cryptocurrency, and business finance.